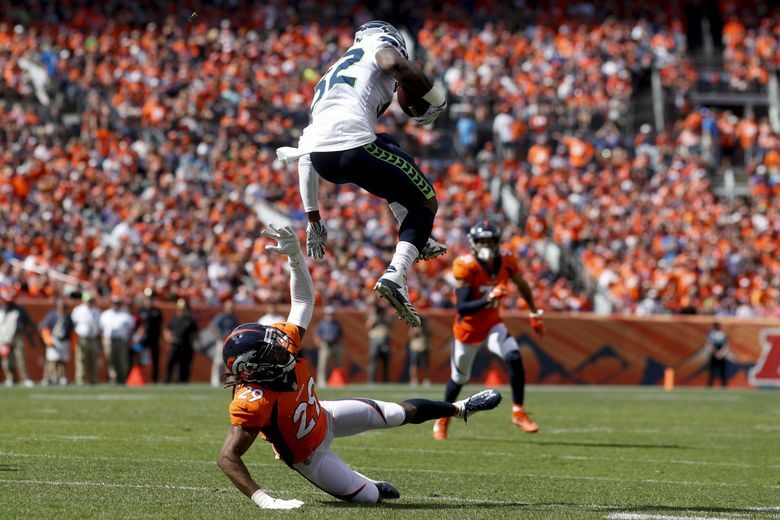 The Seahawks looked unimpressive against the Denver Broncos on Sunday. Here's what the national media thought of their 27-24 opening weekend defeat. Does it mean anything that there wasn’t a whole lot of chatter about the Seahawks on Monday morning after the NFL’s opening weekend? Perhaps. Seattle projects more as a rebuild project than as a Super Bowl contender. But maybe, the lack of interest in Seattle’s 27-24 defeat in Denver had absolutely nothing to do with the Seahawks’ lack of star power this season, and everything to do with Green Bay quarterback Aaron Rodgers’ latest comeback miracle finish. ESPN’s Brady Henderson‘s takeaway from the 27-24 loss was Earl Thomas’ obvious importance to Seattle’s D.
Bleacher Report’s Mike Tanier was impressed with tight end Will Dissly’s 105-yard, one-TD performance. He also gave defensive player of the week to Von Miller with his three sacks of Russell Wilson. CBS Sports’ John Breech gives the Seahawks a “B-” in his weekly NFL Grades feature. The story out of Denver in Albert Breer’s Monday Morning Quarterback wasn’t the Seahawks, but Case Keenum’s performance against them.